Birch Aquarium has a way of making employees feel like family. 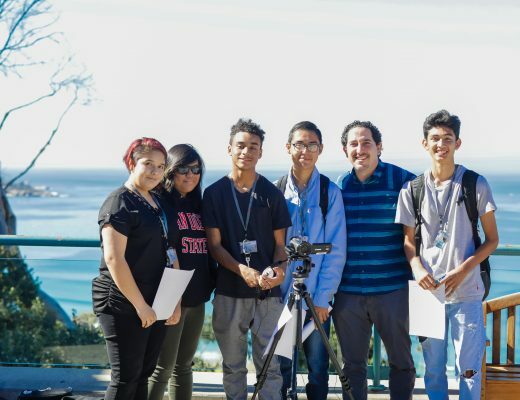 The common thread of being passionate about ocean science often builds lasting relationships between staff members and with Scripps Institution of Oceanography. There are people who have worked or volunteered at Birch Aquarium for 10, 20, even 30 years. Some, like Associate Curator Fernando Nosratpour, leave for other jobs only to return to the Birch Aquarium at Scripps family. Last week, we were proud to welcome Mark Ferguson, Bruce Blumer, and Harry Phillips, all former employees at the original Scripps Aquarium, which predates the 1990 construction of our current Birch Aquarium. 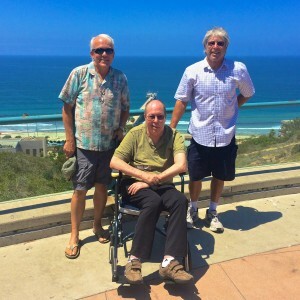 While visiting Birch Aquarium and looking “down the hill” at the site of the former Scripps Aquarium, Mark, Bruce, and Harry reminisced and told fun, emotional, and sometimes mischievous stories about what it was like working at Scripps Aquarium during the 1970s. Mark has been my mentor and many years later, during his retirement, he helped Birch Aquarium when we took the kelp tank down [for repair]. He provided lots of great advice on how to manage the filamentous algae, fish/community structure, and best ways to encourage kelp and seaweed growth. He’s been very active in the San Diego Tropical Fish Society and has a wealth of knowledge on native plants. He’s probably one of the best aquarists around. 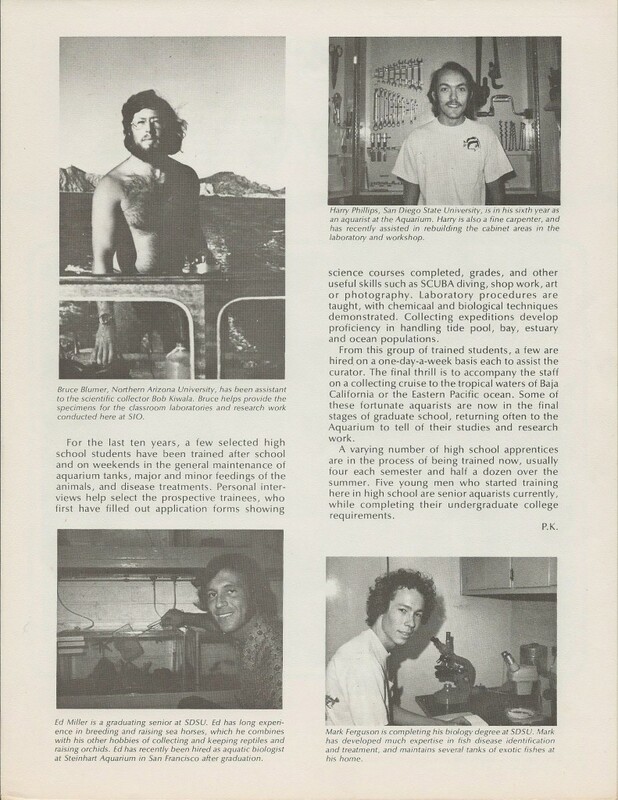 Profiles on Bruce (upper left), Harry (upper right), and Mark (lower right) in the 1975 Scripps Aquarium Newsletter. Please click for option to enlarge. 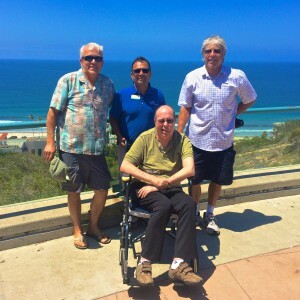 Perhaps what was most special about Mark, Bruce, and Harry’s visit was seeing the camaraderie that was built through years or hard work and dedication to the Scripps Aquarium. Their efforts helped form what Birch Aquarium has become today. Thank you Mark, Bruce, and Harry for all you have done! Associate Curator Fernando Nosratpour (center, blue shirt) joins Harry, Mark, and Bruce on Tidepool Plaza.